Students will master the fundamentals of Transact-SQL—and develop their own code for querying and modifying data in Microsoft SQL Server 2016. 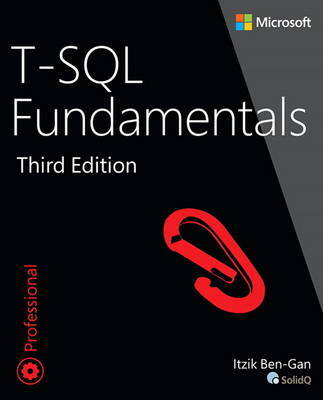 Led by a SQL Server expert, readers learn the concepts behind T-SQL querying and programming, and then apply their knowledge with exercises in each chapter. Once students understand the logic behind T-SQL, they'll quickly learn how to write effective code.